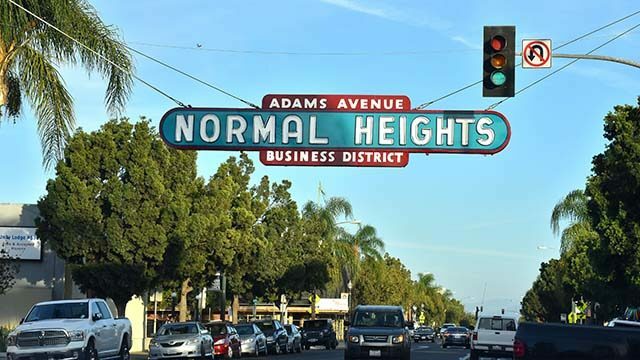 A construction worker inadvertently ruptured a natural gas line in Normal Heights Tuesday, prompting evacuations while repair crews worked to halt the spewing fumes. The non-injury excavation accident in the 4700 block of Hawley Boulevard was reported shortly after noon, according to San Diego Gas & Electric. Firefighters cleared a dozen people out of surrounding residences, the San Diego Fire-Rescue Department reported. Police, meanwhile, blocked off the northbound lanes of nearby Mansfield Street as a precaution, SDPD public-affairs Officer Billy Hernandez said. No ill health effects were reported due to the wafting gas vapors in the neighborhood just north of Adams Avenue. It took utility personnel about four hours to halt the leak, after which they began working to fix the broken pipeline, SDG&E spokesman Joe Britton said. It was unclear how long it would take them to complete the repairs and return natural gas service to the area, and no count of the number of affected customers was immediately available, Britton said.